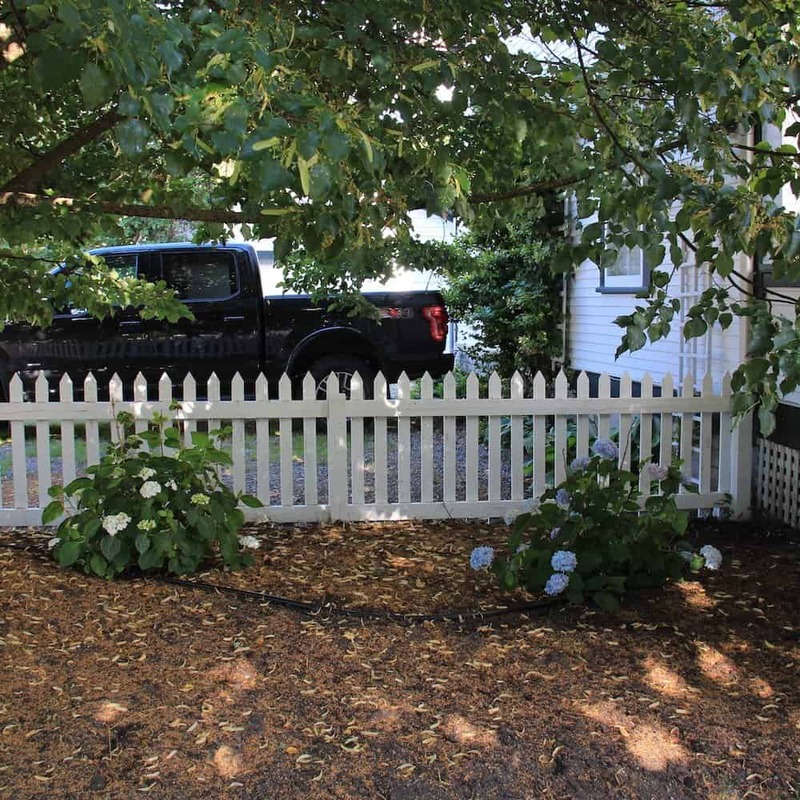 The right fall yard work will make a big difference preparing your garden for winter. A fall garden clean up will lead to a more productive growing season next year. These fall garden chores such as composting leaves, clearing out annuals, and watering evergreens will help keep your garden happy and healthy. Each one of these garden areas has it’s own tasks that will set you up for a great growing year in the spring. Scroll down for a detailed list of fall garden chores, as well as a printable checklist to take outside with you. Shred fallen leaves with a mulching lawnmower or powerful leaf vacuum. Compost the shredded leaves (instructions here) or use them to as a protective mulch over top of tender perennials once the ground freezes. Fall leaves are organic gardening gold! Wrap tender perennial shrubs with burlap to prepare them for winter by protecting them from desiccating cold winds. Ensure that you wrap them in such a way that snow/ice will not gather on top of the wrapped shrub, crushing it. I like to put stakes around the plant and then wrap the stakes with burlap or chicken wire rather than directly wrapping the plant. 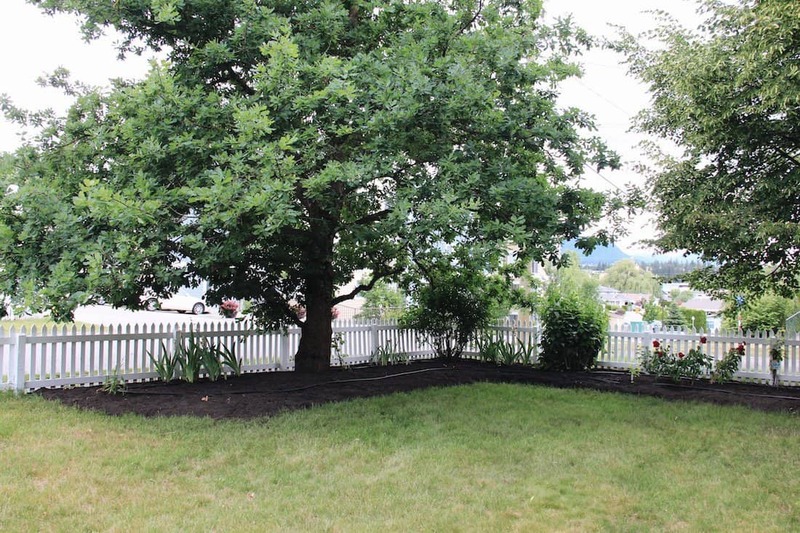 Thinking of landscaping? Early fall can be a great time to plant new trees and shrubs. The trees will appreciate the temperate autumn weather, as it will allow them to establish some roots before they go dormant during the winter. Try to get new trees in the ground at least six weeks before the ground freezes to allow the roots the chance to become established before dormancy. You can even buy bare-root trees online for fall planting. Keep trees well-watered in the fall, especially evergreen trees. Evergreens continue to lose water from their needles throughout the winter. Trees should have no shortage of water before going dormant. If the fall has not been very rainy, or if you have trees in protected dry areas, give them a good watering before the ground freezes as part of your list to prep the garden for winter. Don’t add pruning to your list of fall garden chores. Fall is the worst time to prune trees and shrubs. Pruning encourages plants to grow more, which is not what they need when they are about to go dormant. Let the trees focus their energy for the upcoming dormant season rather than sparking new growth. Only dead, diseased, or damaged wood should be pruned off in the fall. Wait until the plants are completely dormant before undertaking any serious pruning. Pruning is definitely not part of preparing the garden for winter! Flowering shrubs should be approached with extra caution over the winter as some shrubs put on flower buds the year before (such as some hydrangeas and magnolias). This means that for some cultivars, flower buds that form this summer will bloom next summer. Pruning for these flowering shrubs should occur in early summer right after flowering if you don’t want to reduce the number of flowers the next year. Don’t forget the lawn when preparing the garden for winter! Turf grass maintenance is a key part of fall yard work. Cut the lawn to 3″ high during the fall months, before the ground freezes. Ensuring the grass is at least 3″ high will help the lawn develop strong roots for the upcoming year. Use a mulching mower rather than raking up the grass cuttings. The cuttings return nitrogen to the grass plants, feeding the lawn after a cutting. Rake up leaves that fall on lawn grass. Leaves will smother the grass if they are allowed to create a mat. Leaves make an excellent, nutrient-rich compost, and also can be used as shredded mulch over tender perennials. Feed the lawn with a thin top dressing of good-quality nitrogen-rich compost. 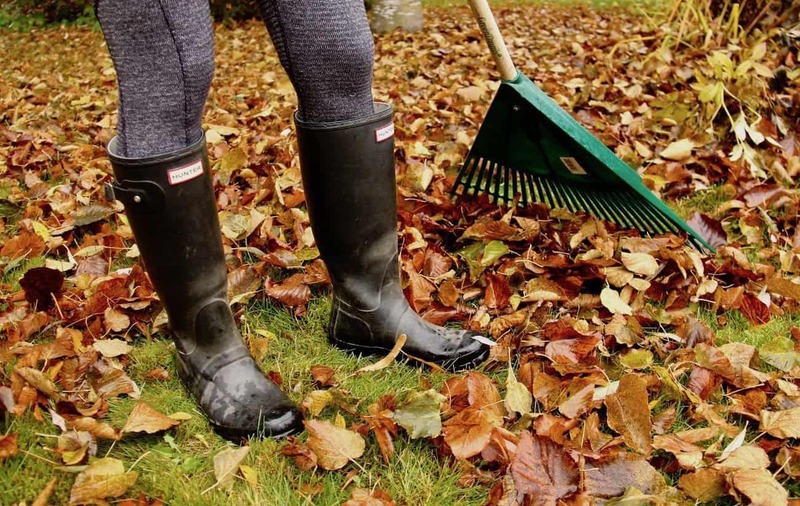 Rake it over the lawn and allow the fall rains to wash the nutrients down into the roots of the grass. If you can’t find a high-quality source of compost, or don’t have the fall leaves available to make your own, try corn-gluten meal (which, incidentally, is gluten-free), or another organic-friendly high-nitrogen plant food. Overseed any thin spots of the lawn. While planting new seeds doesn’t exactly sound like the best way to prep the garden for winter, it can really help. Fall is the best time to establish new cool-season grass plants, including the varieties we grow in Canada, provided they have enough time to develop roots before the ground freezes. Try to overseed in early fall once the intense heat of summer is gone, at least six weeks before the ground freezes. Do one last round of weeding in your kitchen garden to get the garden ready for winter. Save seeds from any treasured plants such as heirloom tomatoes or a favourite type of pumpkin. Remove spent annual plants from the garden and compost the plant debris. If you haven’t already, make note of what did well and what didn’t in your Garden Planner. This will help you as you plan next year’s garden. Pretty much everything can be composted in a small compost pile except for diseased plants, weeds with seeds, and woody plant stalks. A large, hot compost pile will be able to destroy diseases, weeds, and woody stalks, but unless you are confident that your compost will get very hot, leave these few things out of the compost pile. Green plants from the garden are a good source of nitrogen that will balance nicely with the carbon in fall leaves. Fall leaves plus some green vegetable plants can make a perfect compost pile. Any fallen fruit and/or veggies can be composted along with the fall leaves and garden debris as part of fall yard work. Rake out the garden to ensure you’ve got all the weeds out. Fall is a great time to discourage weeds as part of preparing the garden for winter. 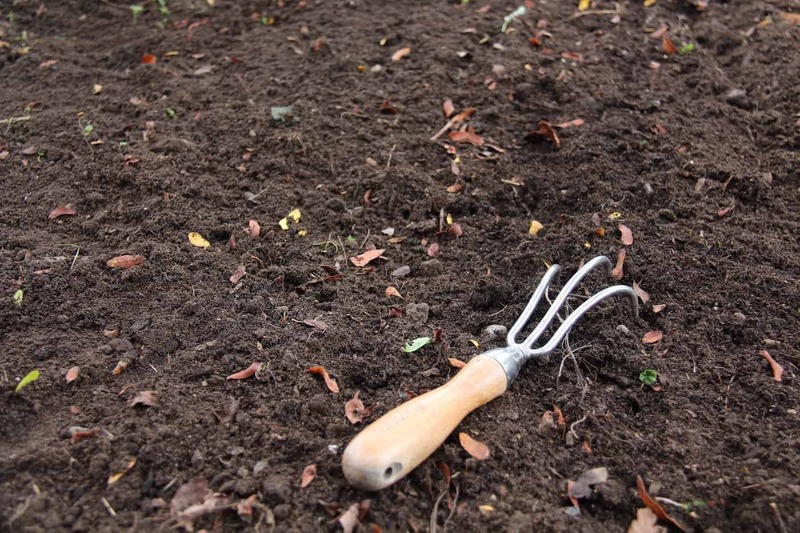 Top dress the soil with 1″ thick layer of compost by raking high-quality compost over the soil surface. If you don’t have your own homemade compost, compost can be purchased online. If you’re feeling fancy, you can plant your garden space with a “green-manure” cover crop such as rye over the winter. These crops are grown over the colder months and then tilled into the soil in the spring, providing a source of nutrients to next year’s garden. 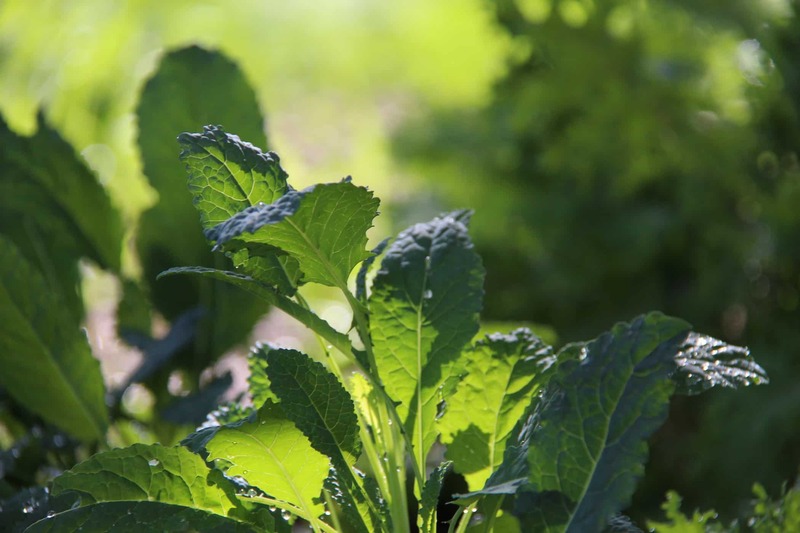 In early fall, hardy greens like kale can be planted for a winter harvest, provided temperatures don’t get too cold. Garlic is planted in the fall in cooler areas, such as here in Canada. The cloves are planted in September in our area (or October in warmer areas such as the West Coast), and then harvested in early summer. Try to plant the garlic about 6 weeks before the ground freezes to allow it to take root before winter arrives. Read more about planting garlic in this post. Do one last round of weeding in any formal garden beds. 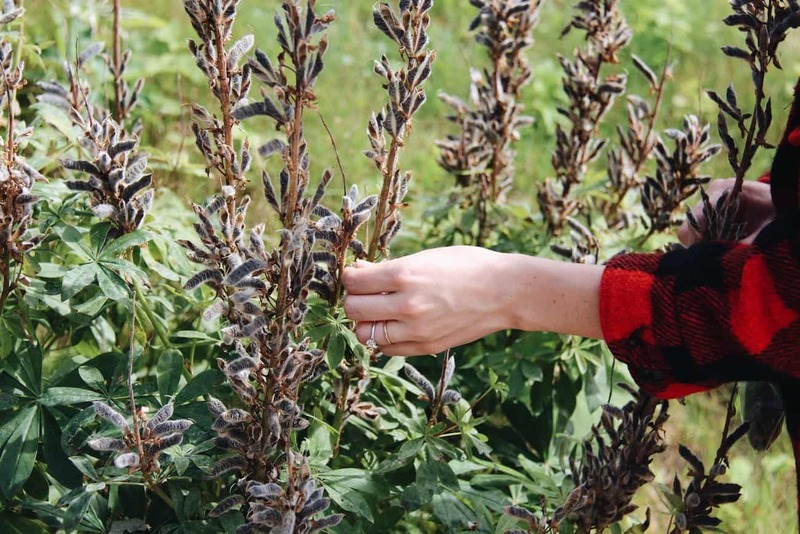 Collect seeds from your favourite flower plants. Remove spent annual plants from the garden and compost the plant debris. Collect natural craft items you’ll use during the winter such as sticks, foliage, and dried flowers. Cut down stalks from any messy herbaceous perennials. These are flowers that come back every year, but the stems die back to the ground in the winter. If you don’t mind the look of the stalks and seed pods, leave them up until spring. The foliage and stalks will provide winter interest to the garden, as well as food and habitat for overwintering beneficial birds and insects. It’s a good excuse not to go overboard when preparing the garden for winter! Dig up and store tender flowers such as dahlia tubers. These tender roots can be stored in peat moss in the basement over the winter, for planting outside next year. Top dress the garden with 1″ thick layer of compost by raking high-quality compost over the soil surface. Protect tender perennial flowers by mulching with several inches of shredded leaves to prep the garden for winter. Apply mulch just as the ground freezes for the winter. Plant hardy fall bulbs such as tulips and allium for a show of blooms in the spring. Bring tender potted plants indoors. In our area, this includes potted citrus trees, rosemary, and many types of succulents. Anything perennial that isn’t “hardy to your zone” should be taken indoors as part of preparing your garden for winter. 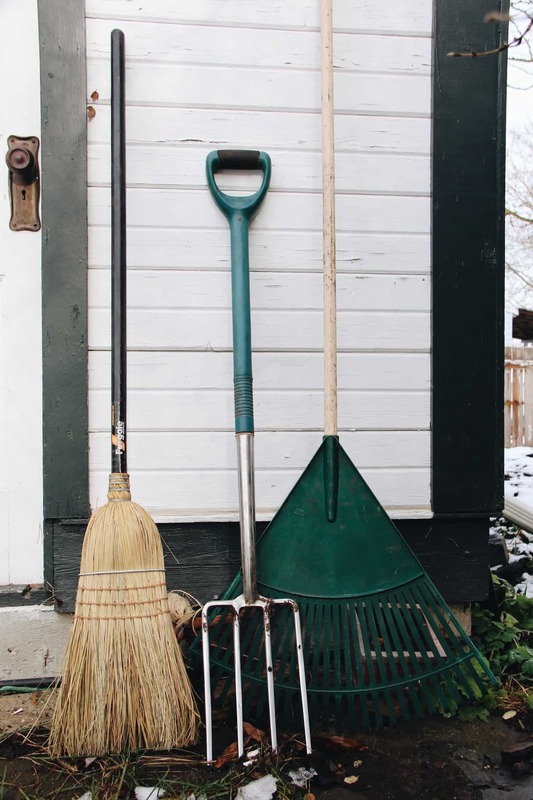 Clean and store garden tools so they are in working order when you need them next spring. Try to leave them in an organized manner if you can…it’ll be a lot easier to deal with if you need to access “just one tool” over the winter. Bring in plant containers to a protected area such as a shed or garage to guard them from the elements. Terra cotta and ceramic pots are prone to damage in freeze/thaw cycles and should be treated carefully in areas that freeze over the winter. Clean seed starting trays that you wish to use next spring for seedlings. I disinfect mine and store them in the basement over the winter months so they don’t crack. They’re also are easy to find when I’m ready to start some seedlings. Take a bag of sterile seed-starting potting soil indoors if you’ll require access to potting soil during the winter months. Chipping frozen soil out of a bag is no fun (speaking from experience…). It can be hard to find seed-starting soil in January and February, as it’s usually only stocked in local stores in March (in our area). If you do need to buy seed-starting soil in the winter, it’s often easiest to find it online. Also bring in a select few hand tools as well to help with any winter indoor planting work. Had your fill of fall yard work? One final tip is that fall is a great time to support your local Farmers and Nurseries! Farmers often have huge crops to sell at this time of year, and often sell what they have for a very good price. You won’t find produce of the same quality at other times of the year, so it’s worth buying in bulk from the Farmers Market and freezing/canning your haul for use over the winter. Nurseries also have very good sales at this time of year as they try to clear out space for next year. Many perennials can be purchased for a bargain, and will appreciate being planted in the cooler months. It’s a win-win for fall yard work! 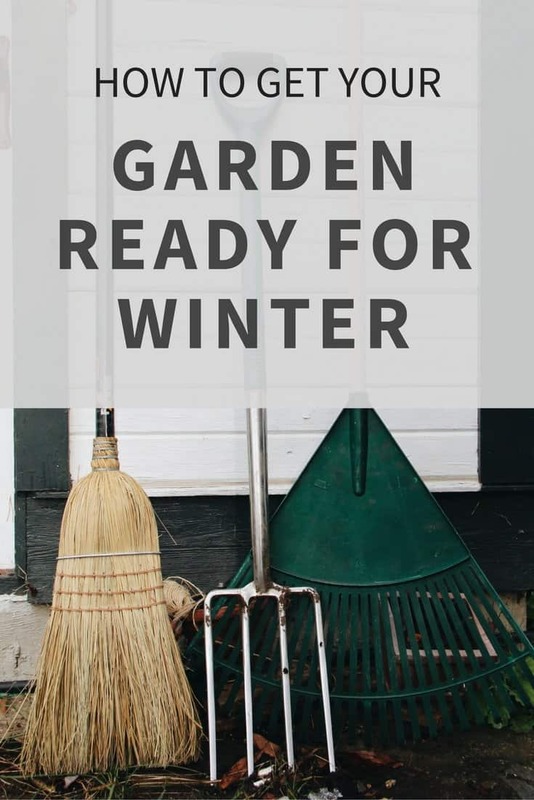 Have you started preparing your garden for winter? Is there just too much fall yard work to do this time of year? Share your stories in the comments section below! Great list! I knew some of these, but never even thought of some of the others! Thanks so much for sharing. Thanks so much Callie! I’m glad there were some new things on this list :) Thank you for stopping by! Great tips:-) I will definitely use them! Thanks for this great article. I’m an experienced gardener and there was tons of useful tips here.